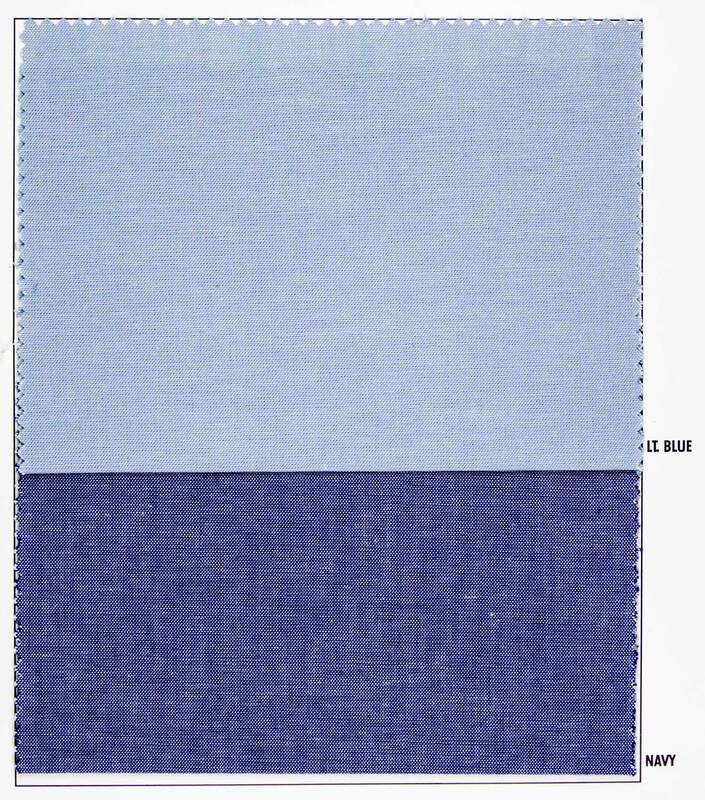 This versatile 59/60" Western Chambray consists of 100% pure cotton. Offers a soft touch with a nice drape. Suitable for shitring, pants, dresses/skirts, jackets, children's clothing and much more! Available in lt. blue & navy. Machine Washable. Crease Resistant Finish.